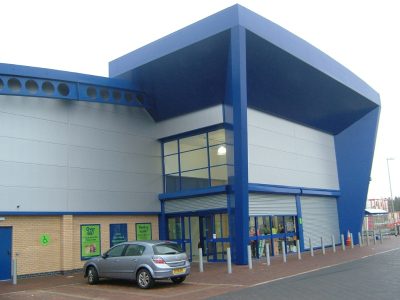 Below are examples of our work including: office refurbishments, out-of-town retail, warehouses & distribution centres. 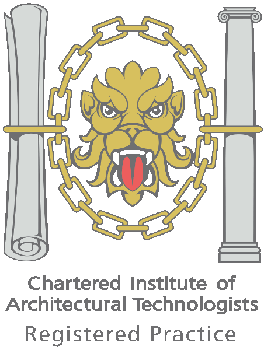 The original building incorporated one of the first atriums and use of Brise Soeil in the UK. Alas, it was rather worse for wear, and unlettable. Redesign of below ground structure. Cantilever out from an external face to increase the footprint by 1.4m on each floor. However, there were problems. 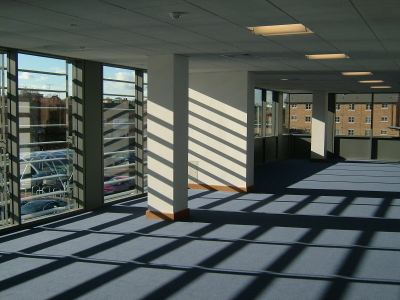 The low floor to ceiling height made servicing each floor with modern-standard air conditioning and electrical services difficult. 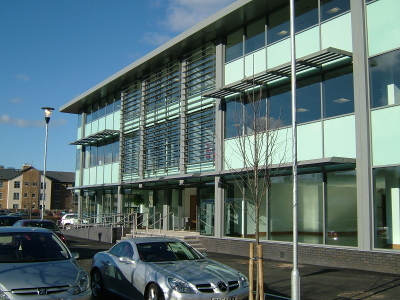 The solution used the external wall column locations. 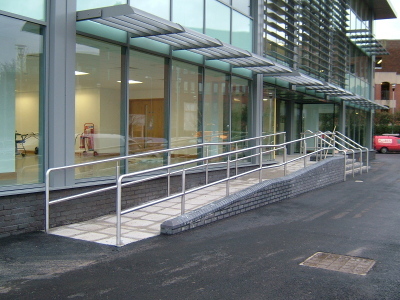 The services dropped between the existing structure and the new external wall on the front and rear of the building. The curtain walling hung from the new intermediate first floor, which avoided ground work, and saved every mm of floor to ceiling height. 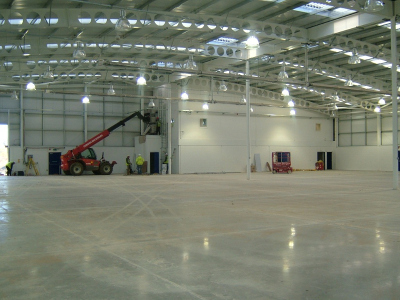 An additional 75mm was gained by reducing the upper floor screeds to the services core, thus reducing the existing raises access floors. 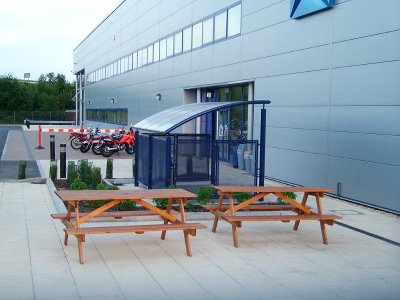 This created an acceptable ceiling height for a small office development. 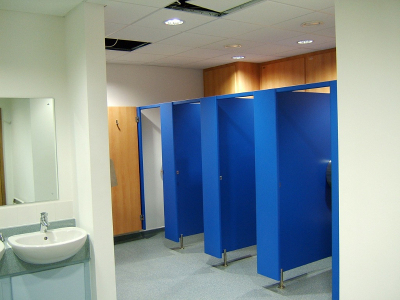 The top floor ceiling supporting roof and plant room downstand beam structure was restrictive. Plasterboard recessed features resolved this problem. 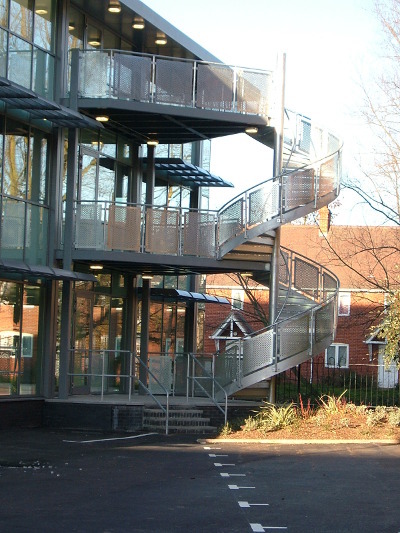 A new secondary escape staircase was built outside the building to maximise floor space. 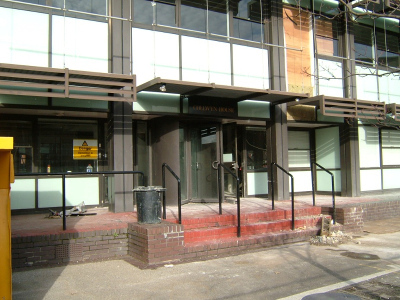 This became a feature, as enlarged landings ensured the escape was over 1.8m from the building. 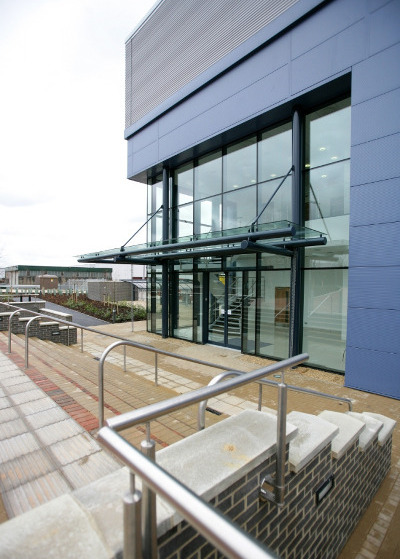 This also reduced costs, as there was no requirement for 3 storeys of fire rate curtain-walling and doors. The escape also helped provide the flood bank. The stairs at floor level rested on a feature plinth and steps, which linked to a raised grass bank. This formed a natural flood bank that prevented the river flooding the car park. The entire project was a design & build of a Class A1 non-food building in excess of 2400 sq.m. The Planners specified the design quality. The clients' Architects delivered a simple, effective and striking design. 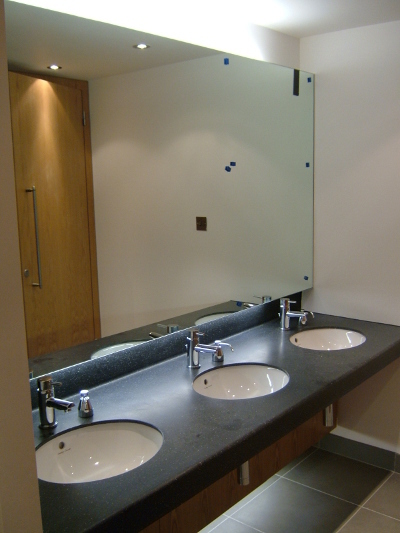 Argyle Design supported the client's architects with project management and produced the working drawing package. This was our first project involving a permeable macadam. This surface dealt admirably with heavy downpours during construction. Reinstated within the existing teak structures. 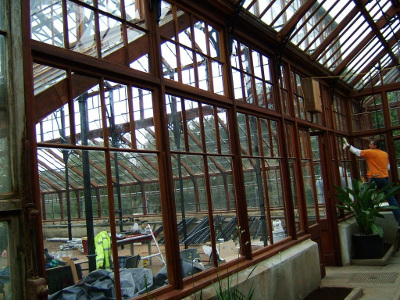 The Botanic Gardens commissioned Argyle Design to survey the main teak greenhouses. We recorded all items before they were dismantled. The survey comprised two phases, a year apart. Clearly, some larger items, e.g. trees remained in-situ during the refurbishment. We recorded, measured and drew each and every item, so that it would be accurately labelled. 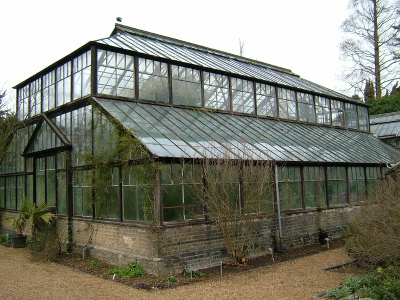 The first phase covered the large Temperate greenhouse, the fern house and corridor. 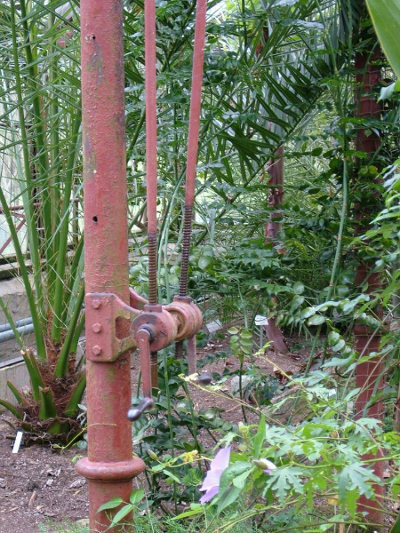 A year later these items were reinstated, and we surveyed the Alpine, Belize and conservatory greenhouses. This wonderful project taught us much about Alpine orchids, since we overheard lectures and tours whilst surveying. 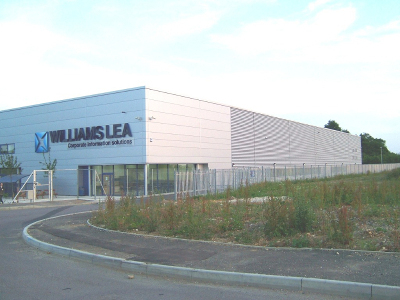 This large distribution centre on the outskirts of Peterborough was spec built, i.e. with no specific end user. We faced the traditional difficulties: on-time, within budget, and a constrained timescale. In addition, there was large change in level between the existing road, and the site. Together with the architects, we used this change in level to our advantage. 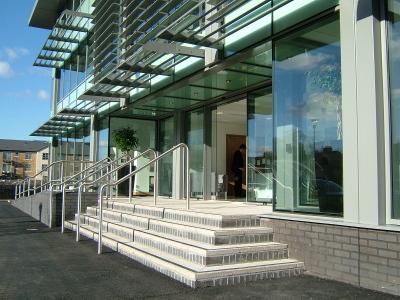 The design featured a sleek frontage. 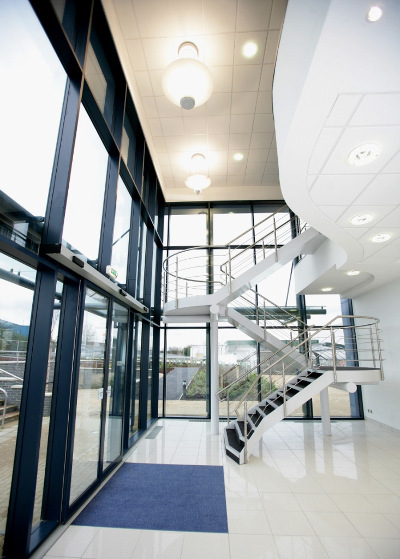 Argyle Design successfully implemented this vision within the detailing, to create a stylish appearance. 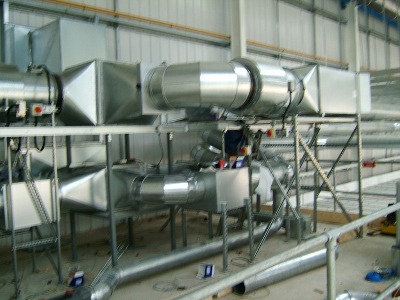 This was a large class B1 project for a specific client. 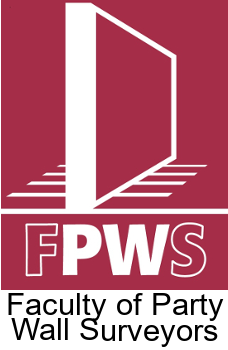 We delivered construction drawings to the Architects, and attended site meetings on their behalf. Our client's specification was comprehensive. We detailed the plant layout, including a bomb proof room for opening mail.